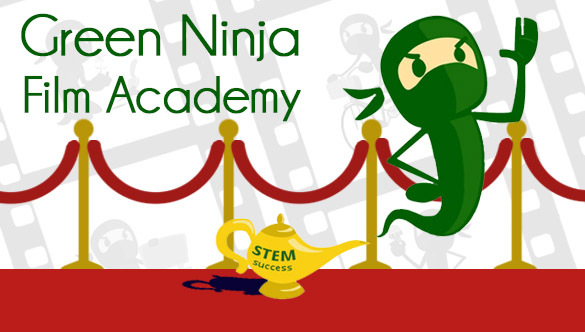 A grant will fund the Green Ninja Film Academy. An interdisciplinary research team from San Jose State has been awarded $1.1 million from the National Science Foundation to design and implement the “Green Ninja Film Academy (GENIE),” an intervention that leverages well-established research on motivation to encourage student interest and engagement in the STEM-related field of climate change. The project is aimed at scientifically-underserved middle school students who will be guided through a structured storytelling and filmmaking experience that builds competencies in science, engineering design, media technology and communications. During the three-year project, 60 teachers and at least 2,000 students will directly participate in the GENIE project, with additional participation from parents, friends, and teachers who attend the Green Ninja Film Festival. GENIE is also designed around helping teachers prepare to implement the Common Core and Next Generation Science standards using climate change as a context. The project builds on the established Green Ninja Project, an SJSU initiative that develops media to inspire student interest in science and the environment. The principal investigators of the NSF grant are SJSU professors Eugene Cordero (Meteorology and Climate Science), David Chai (Animation/Illustration), Ellen Metzger (Geology and Science Ed), Grinell Smith (Elementary Education) and Elizabeth Walsh (Meteorology and Climate Science and Science Education). More information about the project can be found at www.greenninja.org.